I always say successfully growing a good tomato is the holy grail of gardening. I inherited this thought. My grandfather and father were both big-time tomato growers. My grandfather actually sold plants every spring, thousands of them. I just wish I had paid more attention. I can hardly remember the kinds they favored. I would love to be able to grow some of them. It occurs to me, however, that there are readers who have never grown a tomato! This is a shame, as who doesn’t love a good tomato? In addition, tomatoes are the easiest of fruits to produce from seed. So, it isn’t so much help on how to grow that might be needed. Ease of growth may be why there are literally tens of thousands of kinds of tomatoes, most offered for sale somewhere. One big problem with these plants is deciding which to try. So, try this. First, check out a cooking site, Serious Eats. Here you will find information and pictures of the major tomato groups with pictures and descriptions. This will help a newbie or even a grower understand what the differences can be between choices. Narrow down or understand the difference between a zebra tomato, a beefsteak and a plum one. This is basic stuff, but many are afraid to ask these sorts of elementary questions. 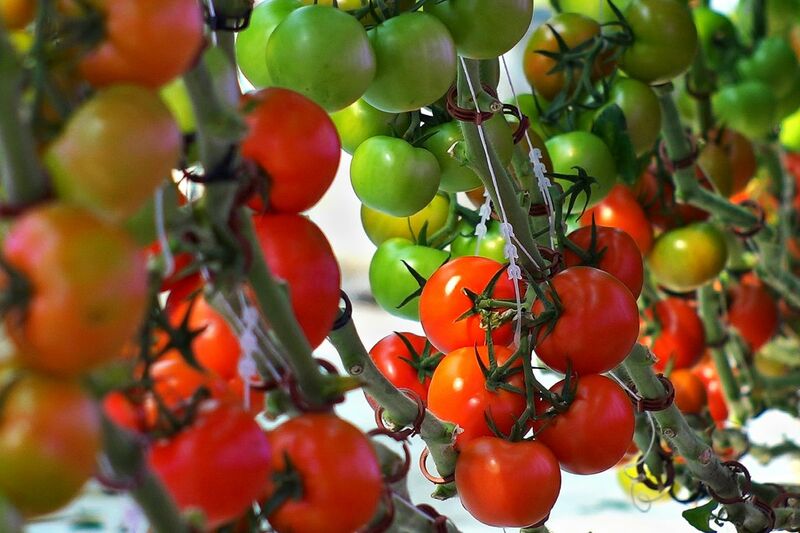 Armed with a bit of knowledge, check out the concise listing of categories, including grouping by colors, at the site maintained by Tomato Growers Supply. In reviewing them, I saw a category of ox heart-shaped tomatoes. That is a new one on me! How could I miss it? Maybe this column isn’t just for beginners. Back to colors. Some may just want a particular color of tomato, and there are many more than just red. In that case, Totally Tomato’s site is a good place to go. Navigating the site is a bit tricky: Click and hold on the “tomato” category on the home page. Then click the “buy now” tab to see growing times and other cultural information. You will find have a nice selection of heirlooms to start from seeds, all grouped in colors. Speaking of heirlooms, PineTree Garden Seeds has a great selection. Going through it, you will see more categories, though not always grouped. Notice how many “Cherokee” or “Black” you see. These folks sell packets with only 15 to 20 seeds and not 40 to 50, so they are cheaper to buy. Renaissance Farms does divide their 659 heirloom tomato offerings into categories. Hey! There is that ox heart one again. How could I have missed this after all these years? At least I am learning something here! Heirlooms are the way to go, in my opinion. Do check out Reimer Seeds. Here is the mother lode of tomato-type information. There is a category for every tomato attribute you could think of and, sure enough. there is that ox heart, again! This is an online catalog, so click to locate offerings of each type. Listings include days to fruit. Check out the cold hardy category. Alaska Botanical Garden: Have you joined yet? There are all manner of benefits, like discounts and first serve on The Garden’s nursery plants, etc. But really you join to support this needed organization and facilities. Check out the new website at alaskabg.org. Pelargoniums: If you kept yours growing over the winter, now is the time to start cleaning them up and shaping them for summer’s displays. Keep cuttings, let them callous over and root in damp soil or sand. Houseplants: Start the year right. Check yours for pests.